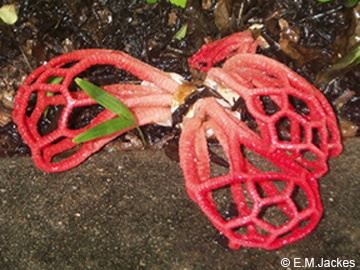 The reddish arms of this fungus burst forth from a gelatinous egg to form an open weave basket. The stem is very short and the arms do not separate. The smell is like faeces or rotten meat and attracts flies which disperse the spores.